我和我老公一人一張”美國運通國泰航空尊尚信用卡”, 可以帶2個女(2 years old and 7 years old)入環亞機場貴賓候機室嗎? 係非香港既環亞lounge? 我見佢website 係 including Hong Kong. 12 times complimentary access to more than 50 designated Plaza Premium Lounges worldwide, including Hong Kong, Taiwan, Singapore and London for every calendar year. Appreciate if you can clarify Thanks! If I only have CXAE Elite, CitiPrestige, can i bring my wife and 2 kids to lounge ? not enough quota, unless you give your wife a supplementary CXAE and one of the kids is under 2. 如果我只有AE CX Elite主卡+先生附屬卡+priority pass 是否可帶1個仔女入lounge? 3. 3次附送Priority Pass = 只限本人用 不能附屬卡用? 我收到asiamiles 寄比我邀請申請尊尚信用卡, 打電話去cs 問, 佢話會send email 申請表比我填, 年薪一定要300k, 否則就要有其他資產搭夠….唔夠就只可申請綠色嗰張普通卡, 是嗎? 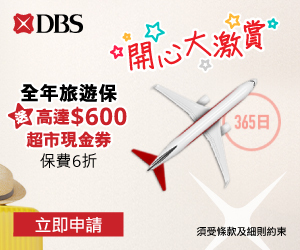 Hi 小斯, 如果我用Citibank PremierMiles 入LOUNGE, 可唔可以用 Wechat Pay / Alipay $5000 抵消當中的費用呀..Thanks! 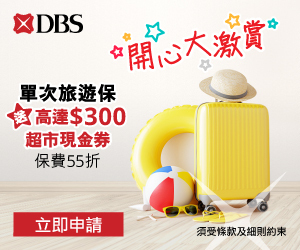 2 大人有HSBC 銀聯雙幣鑽石卡，想同 4 歲小朋友入LOUNGE係咪要收費? 就算唔食野都唔比入? 想問問如果我係2個大人加一個2歲零4個月的小童，2位大人有(CXAE 同HSBC 銀聯雙幣鑽石卡)可免費入Lounge，而小朋友需要收費嗎？或者可否用CXAE quota為他申請Priority Pass? 係咪只有CITI Premier? 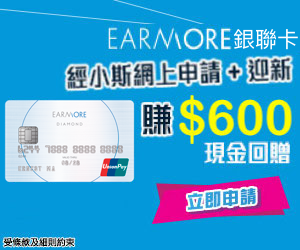 但如果同太太一齊入lounge, 之後係咪要各自簽$5000, 即total $10k? 我想問, HSBC BUSINESS WORLD MASTER CARD 可入Plaza Premium Lounge? 小斯, 你好, 想問下, 我有CX Elite既附屬卡, 係咪唔駛主卡陪同都可以自己入環亞lounge? 因黎緊只有自己出發, THX!! 請問我有priority pass同CX Elite加朋友送的2張環亞coupon， 但是我沒有green card, 我有2個同行的朋友是什麼都沒有的。 我算了一下好像只能2個人進去香港的環亞候機室。 其實這樣的話我們能不能3個人都一起進去呢？如果用朋友送的2張環亞coupon. E~原來拎住張CX AE就可以食魚旦粉~咁我上次拎住張同priority pass (綠卡只我兩張) 入 Plaza Premium lounge 咪好ON 車? Basic and Supplementary Centurion member, Basic and Supplementary Cardmember of the Platinum Card may bring up to one travel companion into the lounge at no cost and enjoy 30% discount on the fee for each additional guest. business card 知唔知有咩野 Lounge 可以入? 係香港 priority pass 同 Plaza Premium lounge 環亞有咩分別? 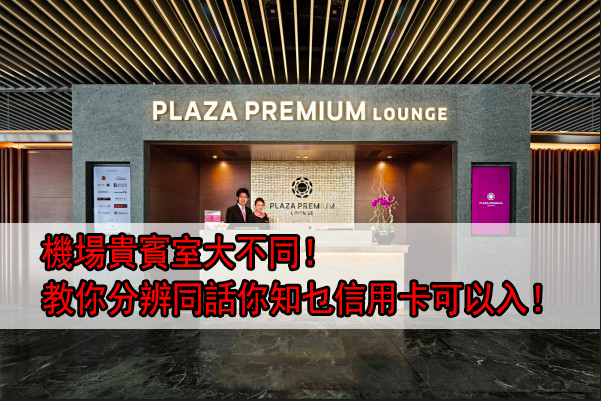 香港priority pass lounge 唔係淨係得3個 Plaza Premium lounge? I’m afraid you are misled by AE CX into believing that cardholders may access all Plaza Premium Lounges. That is not true. AE CX holders only have access to ‘certain’ Plaza Premium Lounge. (I have called their hotline and confirmed the same, because I am going to Maldives and wanna use the Plaza Premium Lounge there) Luckily the Priority Pass should be able to help. I did the same… Entered Plaza Premium Lounge at Maldives airport with my CX AE with a friend. 小斯, 請問我有priority pass同CX Elite, 咁係咪可以2個人(自己加朋友)入Plaza Premium Lounge? Thanks! 如果我自己用張Priority Pass， 太太用CX Elite, 可否一齊入香港個Priority Pass Lounge? Thanks!